Cees Bruggemans: Is a recession only a matter of time? Cape Town - The petrol price could drop by between 71 and 77 cents a litre next week, but the decrease could have been an additional 25c/litre had the rand remained stable, the Automobile Association (AA) said on Friday. 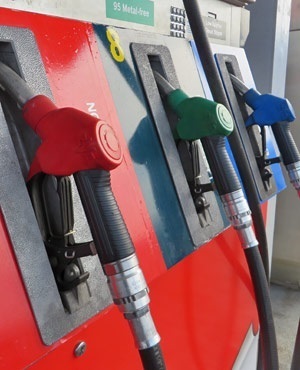 Commenting on unaudited fuel price data released by the Central Energy Fund this week, the AA said: "Petrol is set for a drop of between 71 and 77 cents a litre, diesel will be lower by 50 to 53 cents, and illuminating paraffin down by about 56 cents." It warned however that underlying fundamentals pose a threat to motorists. The weak rand is extracting a heavy toll on consumers, said the AA: "(The) rand's weakness against the US dollar has been expensive for motorists; fuel prices would have dropped by an additional 25c/litre if our currency had remained at its late July levels." On Friday morning the rand was up 0.12% at R13.1400/$, extending its recovery after tumbling to an all-time low of R14.00 at the start of the week, while Brent crude for October gained 23c to $47.79. International petroleum prices have recently reached six-year lows, and the AA is concerned over the trajectory the oil price could take when it reaches the bottom of the cycle. "If and when the oil price flattens out, or increases, motorists will be fully exposed to any rand weakness," said the AA.